I often have sales agents that contact me to assist them in suing their ISOs. Many of them complain that the ISO is doing things like charging the sales agent improper fees to reduce the sales agent’s residuals. Others have had their residuals terminated and want to sue. For the reasons explained below, most of the time it is difficult to justify suing the ISO. One common complaint I hear from agents is that they are being paid incorrectly by the ISO. This can take the form of fees charged to the sales agent that were never disclosed in the agent agreement, fees that the sales agent believes that should not be offset against the residuals, certain revenue streams that the merchants pays but that are not paid to the sales agent and a myriad of other types of claims. The main point is that the sales agent feels that it is not getting its fair share of the residuals. Usually the sales agent only calls me after trying to fix these problems with its ISO over a number of months. The sales agent has sent e-mails, called its ISO and generally done everything possible to try to get paid the full share of the residuals the sale agent believes it is entitled to be paid. When people call me, they are usually at such a high level of frustration that the only thing they want to do at that point is sue the ISO as soon as possible. Most people I talk to are taken aback when I tell them that is probably not a very good idea. The problem becomes, that if you sue the ISO, you are essentially suing the entity that you are 100% reliant upon for your livelihood in the form of the residuals you are paid every month. Most of these types of disputes are over maybe a 5% or 10% underpayment in the sale agent’s residuals. So if the residuals should be $100,000 per month, if the underpayment is 10%, over the course of a year an agent could have been underpaid $10,000 per month or a total of $120,000 a year. A fair amount of money to be sure, but what do you risk if you sue the ISO? The fact is that you are risking a whole lot more than the $120,000 if you sue the ISO. If you sue your ISO, the ISO has every incentive to now terminate all your residuals. I have seen this happen before and it is no small danger. If you assume that the ISO is underpaying you on purpose, don’t you think that it might be inclined to completely terminate your residuals if you sue it? I have even seen large, reputable companies do exactly that. So, by trying to collect $120,000 you could have residuals worth millions of dollars over time cut off completely. As you can guess by the tone of my message, I try to convince any sales agent that want to sue for underpaid residuals to reconsider or at least think very, very carefully before doing so. A sales agent should try ever conceivably way to resolve such a dispute before resorting to filing a lawsuit. In my mind, if you are continuing to have these types of problems, you are better off finding a new ISO and leaving the issue alone than suing your ISO and potentially losing all your residuals. Many times when sales agents come to me they want me to sue their ISOs for unpaid residuals. They believe that given my industry experience I would be better suited to handling the lawsuit for them as they will not have to essentially pay me to learn about the industry. This is true but for the most part I am unable to help many agents because venue provisions in the typical agent agreement provide that any lawsuit filed regarding the agreement be brought in the home state of the ISO. Venue refers to a provision in the agent agreement and any contract for that matter, which governs where any lawsuit regarding that contract must be filed. ISOs, like most companies that have the better negotiating power in contract negotiations, will insist that the agent agreement contain a provision that any lawsuit must be filed in the state where the ISO is located. This gives the ISO the home court advantage as it were, and causes the sale agent to have to travel and expend considerable additional funds in order to pursue the lawsuit. Often, the sales agent cannot find an attorney in the ISO’s home state that has an idea about the bankcard industry and that further increases the litigation expense to the sale agent. Another risk that you may run in suing your ISO is that in nearly every case that I have seen, the fact that you sue your ISO invariably leads to you getting sued. When you file the lawsuit, the ISO will likely file a counter claim against you for moving merchants. Most sales agents cannot help themselves and move at least a few merchants when their residuals are cut off. This type of conduct can have unintended consequences. Once you are sued for moving merchants, the ISO can increase the expense of the litigation. The ISO is now able to get records from you about anywhere else you are sending business. In addition, the ISO can make life difficult for any new ISOs you are working with by subpoenaing their records, taking depositions and using all the other discovery methods that are available to it. Besides making it more expensive for you, this could also detrimentally affect these new business relationships with your new ISOs.. Counter-claims can be an effective tool for the ISO to help defend against your suit. Finally, you could actually end out owing the ISO money for the merchants that you moved if the ISO is successful on these types of claims. Litigation is a very expensive proposition. Depending upon how nasty the litigation gets, you can spend tens of thousands of dollars, if not hundreds of thousands of dollars, trying to get your residuals. The decision on whether to sue for your residuals or not often becomes a cost consideration. If you have to pay three hundred thousand dollars in attorney’s fees to get two hundred thousand dollars of unpaid residuals that is owed you, then it does not make sense to do that. These impediments can be enough to make it what I call “economically unviable” to file a lawsuit. Generally speaking, if the residuals in question that were terminated are not worth at least a quarter of a million dollars or more, then the lawsuit is usually economically unviable. I know you are saying “don’t I get to collect my attorney’s fees if I win the lawsuit?” Under some limited circumstances the answer is yes you do, but in reality it rarely happens. 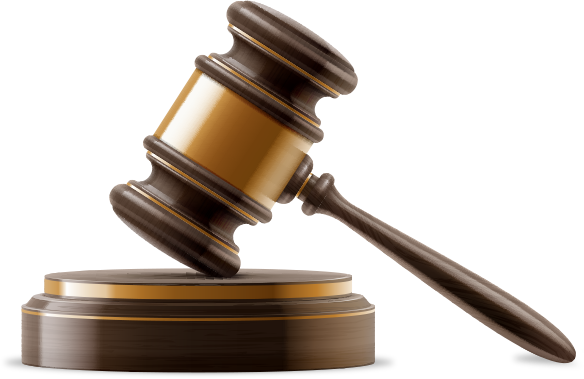 In order to get your attorney’s fees you have to win the case, which means most times you have to go through a trial. Most people do not have the time, patience or money to get that far. As you may know, 95% or more cases never make it to trial but are instead settled somewhere along the way. When you settle a case, you are not entitled to your attorney’s fees. You can argue that you are in order to try to get a better settlement, but most of the time that factor is severely discounted. I have handled hundreds of cases and can count on one hand the number of times that my clients were fully reimbursed for the attorney’s fees they incurred pursuing the action. As you can see, there are often a lot of reasons not to sue your ISO, even if you have a good case. All the relevant factors must be analyzed in order to make an informed decision as to whether or not to sue your ISO.